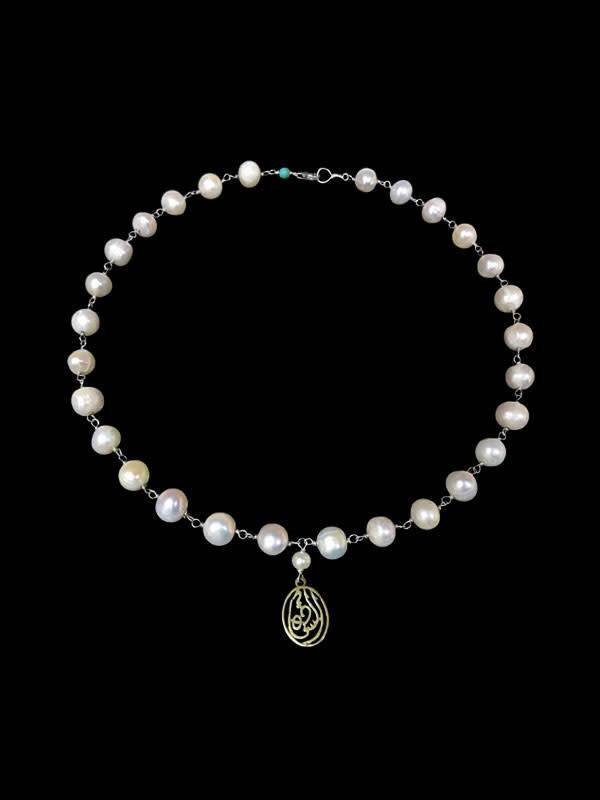 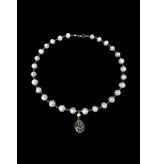 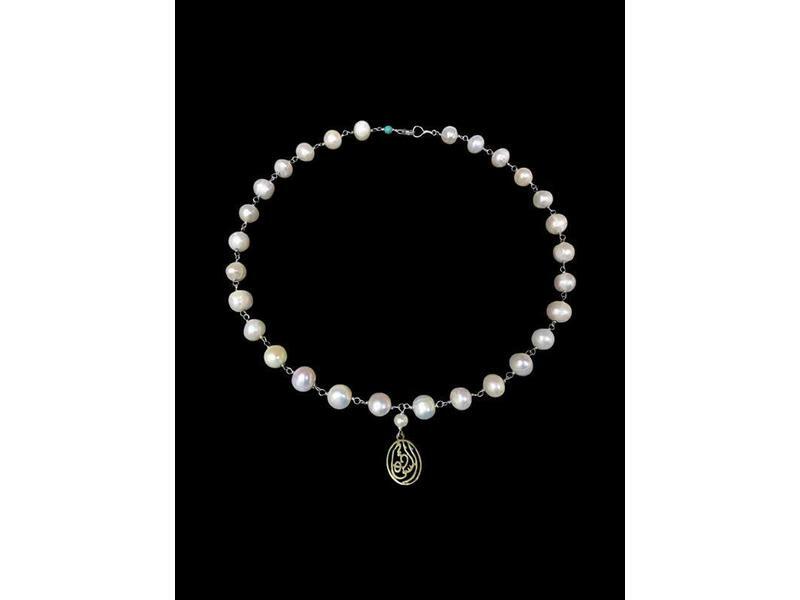 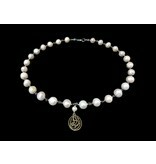 Short necklace with fresh water pearls linked with silver wire, and a word in Arabic calligraphy in silver gold plated, from our Salam collection. 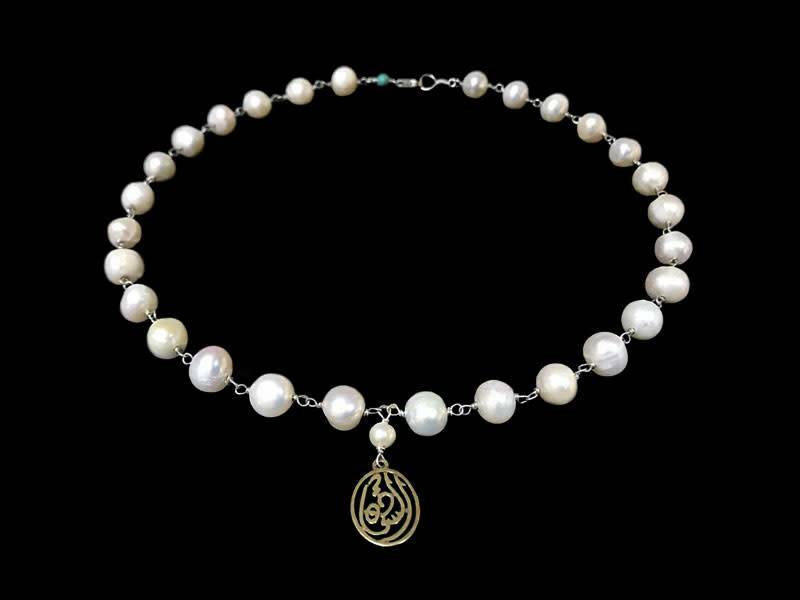 Celebrating the art of Arabic calligraphy, with calligraphic works especially created for us by our experienced calligrapher Bilal Abu Toaq, with words of peace and phrases of affirmations. 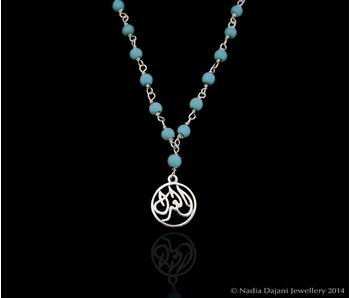 Our classic earring with a gemstone and our salam words in silver gold plated. 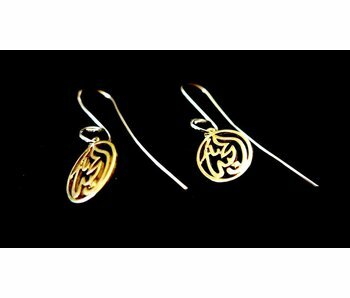 Earrings with gold plated S curve hooks and a salam word in silver. 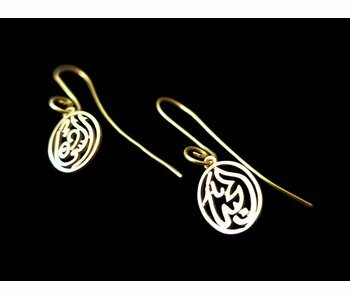 S curve hook earrings in silver with with a gold plated salam word in Arabic calligraphy. 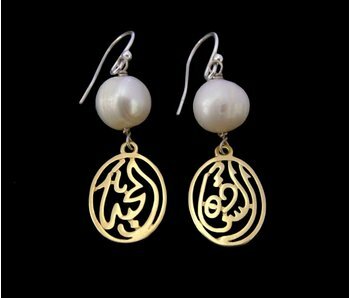 S curve hook earrings with a salam word in Arabic calligraphy. 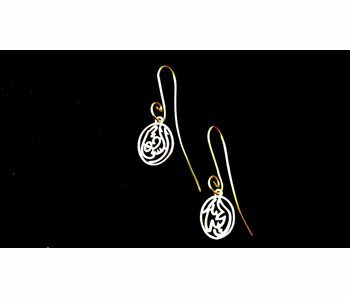 S curve earrings in silver gold plated with a round word in Arabic calligraphy from our Salam collection, in silver and gold plated. 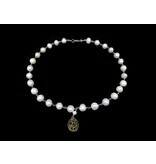 Available words are Good Health, and Friendship. 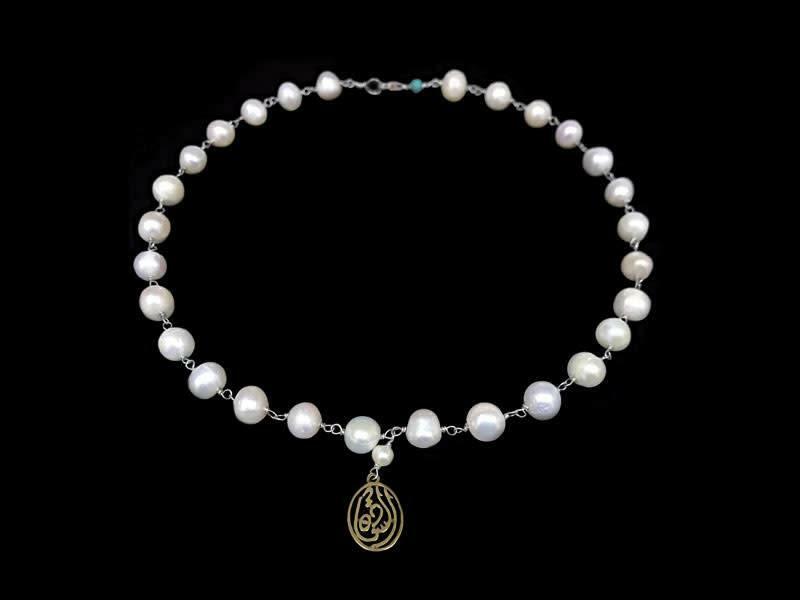 Gemstones linked with silver wire and a silver pendant with words from our Salam collection in Arabic calligraphy.